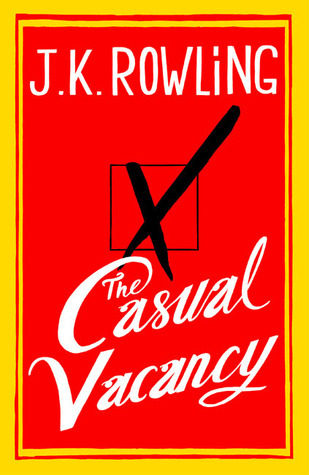 This week’s writing links include the release week for J.K. Rowling’s new book The Casual Vacancy, a Princess Bride cast reunion, sf signal’s podcast interview with Patrick Rothfuss, Roger Ebert’s review of Looper, advice on selling film and television rights for your book and a list of ten literary authors who did their own illustrations. JK Rowlings new non-Harry Potter releases this week to somewhat mixed reviews, which is expected when you follow up one of the most successful series of all time with a book about unhappy people doing unhappy things (or at least that’s what the reviews make it sound like). Good for her though, for not only continuing on with her writing, but trying something different. She certainly could have poured herself into another escapist children series without batting an eye and made another billion dollars, but kudos to her for writing what she wanted to write, even if it sounds like David Foster Wallace material. I think she’ll be okay with her mortgage payments if this book is not a wild financial success. In other news, even though it’s not based on a book, I’m pretty excited to see Looper. It comes out tomorrow and is already receiving solid reviews. I won’t get a chance to see it until Tuesday, so no spoiling it, okay? Feel free to talk about how awesome it was if you see it this weekend though. Andddd links. Today, another trailer for the first part of Peter Jackson’s ‘Hobbit’ trilogy was posted, giving us what I think is the most thorough and exhilarating look at the first film so far. Previous trailers and teasers have been introductory in a sense, but I feel like this trailer reminds us that the story is an adventure and there are thrills to be had with the pretty scenery and drinking songs. Also, we get a sneak peak into some of Bilbo and Gollum’s infamous high stakes riddle game, which is pretty cool. Can’t wait. We start off this week’s writing links with the 2012 Hugo Winners, AV Club’s review of Sorry Please Thank You: Stories by Charles Yu, an interview with literary agent Lindsay Edgecombe and tips on how to utilize Goodreads to its fullest potential. This year’s Hugo Awards saw some surprises as George R.R. Martin’s A Dance With Dragons did not win the best novel category (although a friend did point out that he won the Lifetime Achievement award and this may have been an example of spreading out some of the love to others), instead going to Jo Walton’s Among Others. Neil Gaiman also won an award for writing a Doctor Who episode and Game of Thrones won best long form dramatic presentation to further bolster Martin’s award shelf. In other news I was a friend’s birthday dinner away from making Patrick Rothfuss’ Chicago signing/Q & A, but will sadly have to wait for his next pass through the city, more than likely when his final Kingkiller Chronicle novel releases. I have been rereading his two books in anticipation of The Doors of Stone‘s arrival, but fear that could be in the realm of 2014 and beyond. For now, we only have our links to keep us company as we wait for that far off day.